Today and Tonight: Plenty of sunshine will be on tap for a majority of the region, with the exception of the far northern areas experiencing considerable cloudiness due to some wrap around moisture from the large scale storm system that is affecting the east coast today. High pressure is in firm control and afternoon high temperatures will reach the mid 70s where maximum sunshine is occurring. The only exception to this will be the under the cloud deck where temperatures will reach the low 70s. The overnight hours will be chilly once again with lows settling into the middle 50s, and patchy fog is likely to develop in locations where the soil is still moist from the weekend rains. 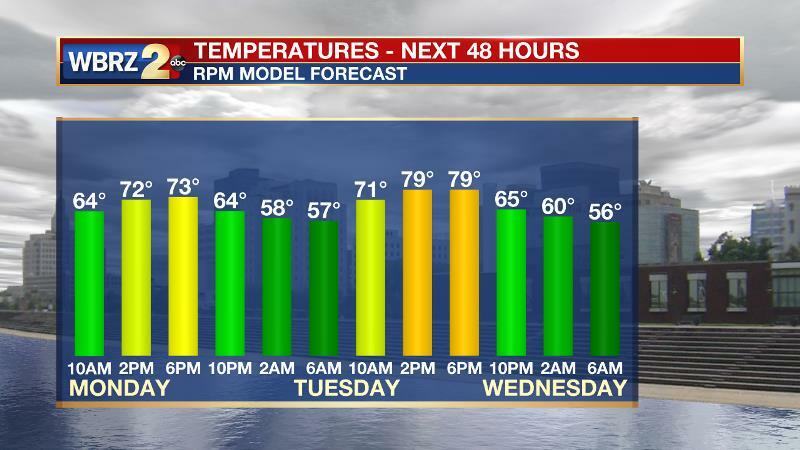 Up Next: High pressure will remain in control for the next 72 hours providing plenty of sunshine and temperatures warming to near 80 degrees by Tuesday afternoon. Tuesday's low temperature will sink once again to the middle 50s in the overnight hours and patchy fog is likely to be a problem in the nocturnal and early morning hours. The next storm system will move through the region late Wednesday night into early Thursday morning bringing a light round of showers by early daybreak on Thursday. The return of Gulf moisture will be limited with this system, and therefore the rain shower activity will be limited and no severe weather will be expected with it's passing. A cold front will once again sweep through the area on Thursday morning leaving plenty of sunshine and comfortable temps in it's wake. 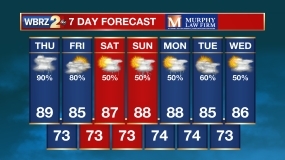 The weekend is looking rain-free with plenty of sunshine along with comfortable temperatures climbing to the upper 70s for Friday, Saturday and Sunday. 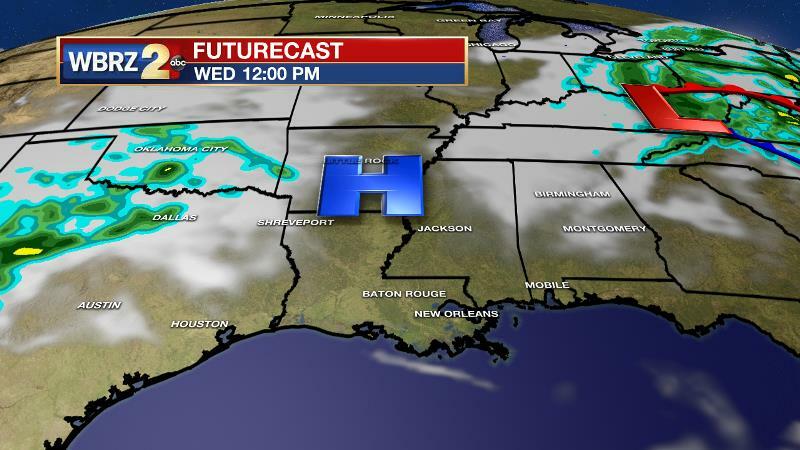 Plan for your outdoor activities and stay tuned to WBRZ for the latest weather updates.